The Karenina pattern has been donated to the p/hop project by the splendid designer, Jane Lithgow. 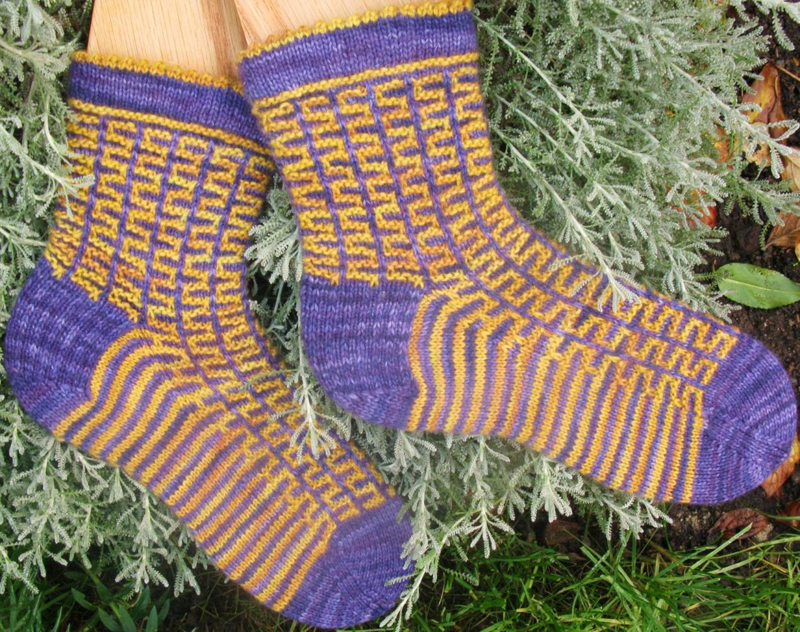 These socks were inspired by antique gilded glass tree ornaments. The stitch pattern is adapted from Russian Stitch by Barbara Walker. As I knit these rich, opulent socks I have been listening to Anna Karenina by Leo Tolstoy with images of the harsh Russian landscape contrasted by lavish interiors decorated with Faberge Eggs in my mind’s eye. Who else to name them for but this most celebrated sock knitter from literature? To see what others have made from this pattern, please visit the Karenina Socks pattern page on Ravelry. You can read more about why Jane supports p/hop here. Browse our other p/hop patterns here. Please don’t forget to donate for the hours of pleasure you get from them. Couldn’t be simpler.